ax710 and y_a_v_a won the #malevichishere contest of the Stedelijk Museum Amsterdam in February 2014. This contest was held at the event of the Kazimir Malevich and the Russian Avant-garde exhibition. The idea was to send in a creative work, inspired by Kazimir Malevich's art. We sent in this site: Maleglitch.net. 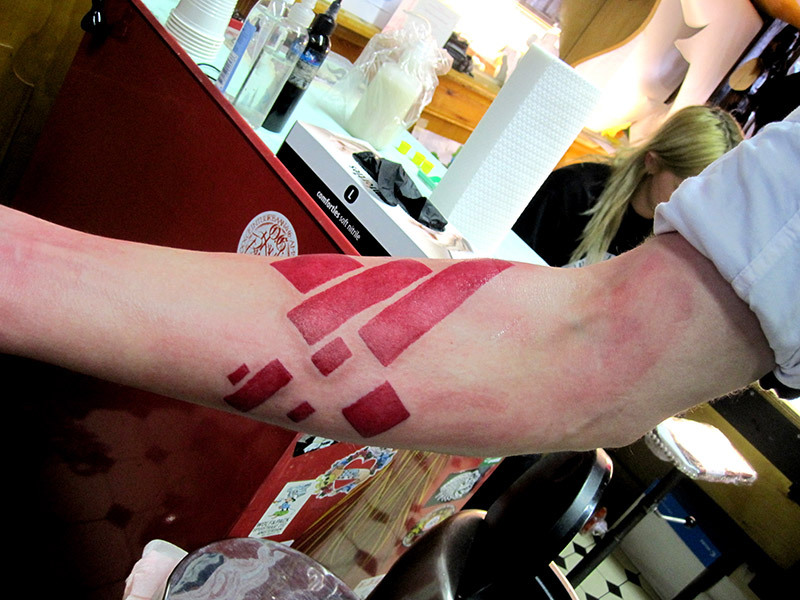 The price was a Malevich tattoo, to be tattooed by Dutch tattoo legend Henk Schiffmacher. The idea came from Bart Rutten, curator at the Stedelijk Museum Amsterdam, who once met a girl with a Malevich tattoo. 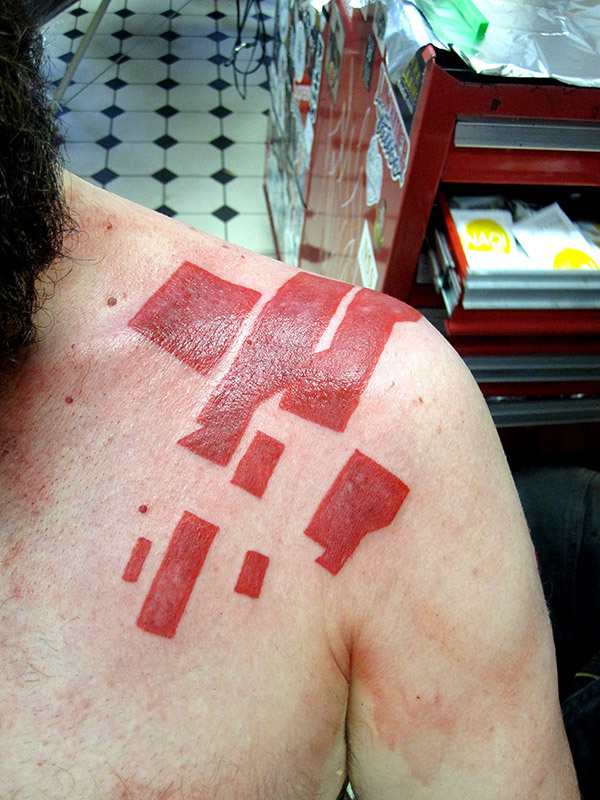 We won the contest so we now have a Malevich tattoo! Or more precisely: ax710 has a Maleglitch tattoo of the painting that y_a_v_a's tattoo is based on. This makes the circle round: y_a_v_a has a Malevich tattoo, ax710 has a Maleglitch tattoo. The pictures shown here are taken by Zwaan Ipema at Schiffmacher & Veldhoen on March 15 2014. More beautiful pictures taken by Tomek Whitfield can be found on the Stedelijk Museum Facebook page. Other submissions to the contest can be viewed on Pinterest.